Funworld Switzerland in Bern, Liebefeld, last month held a three-day event where it unveiled its new Touch of Sports Update 2005. The majority of Switzerland's operators were represented at the event over the course of the open house, and the large numbers of visitors that attended indicated the community's support. Funworld Switzerland Manager, Claude Lachat, said he is pleased by his clientele's support of Photo Play in an extremely tight period, "It is great to experience how operators attest our quality and individuality." A new games terminal law to take effect on 1 April 2005 is set to radically change Switzerland's amusement industry, with a ban enforced on all Amusement With Prize (AWP) machines (with the exception of Skill With Prize (SWP) machines) once the legislation is introduced. "We cannot estimate how the market will develop in the next few months," said Mr Lachat. "That is why it's all the more important to permanently remind every one of our presence. 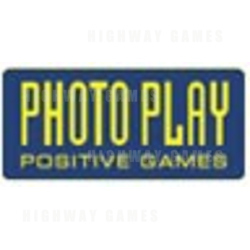 Of course we have a pioneering starting position with Photo Play's excellent marketing and the crowd-pulling sports concept."